I am so happy you are here. Are you ready to party? I sure hope so. I know many are on spring break and even though I have no children at home anymore I am taking a wee break, too. I will still have posts scheduled like the favorite room series that runs on Fridays, but will be basically unplugged except for my phone for the next few days. Mr. Savvy and I both need a little vacay. Follow me on instagram and you will probably recognize where we are in a couple days. Now let's get on with the party. First we need to look at a few features from last week's talent filled party. I love this gallery wall of mirrors and the pops of blue added to just a couple of them by Number Fifty-three. I love tulips and this pretty tulip wreath and tutorial was shared by Priscillas. Painting the door the same color as the wall in this area was a brilliant idea by Chatfield Court. 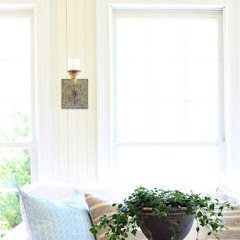 This setting by My Cozy Corner just makes me want to go out and sit and listen to the birds and breathe in the fresh air. 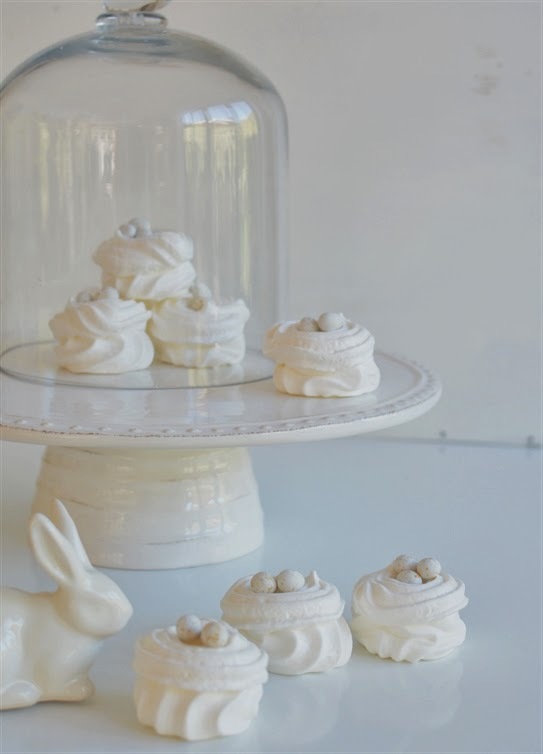 These are the cutest meringue nests by Lee Caroline. Find out how to make these cute animal cracker jars and the animal crackers at Celebrate Creativity. I can't eat these since they aren't on my eating plan, but for those of you who can Peonies and Orange Blossoms says these are the World's Best Chocolate Chip Cookie. 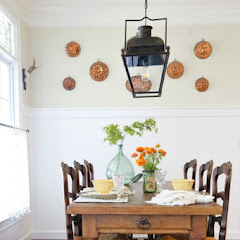 If you are on blogger and google + then you may want to see this tutorial shared by Remodelando la Casa. Thanks to everyone who linked up last week and if you were featured you can grab a featured button from my sidebar. Now, lets's get this party started. I know we want to see what y'all have to wow us with this week! Thanks so much for hosting, Kim! So many beautiful features! Loved all of the beautiful and creative features...and making those animal cracker jars with my granddaughter...have a great time, you so well deserve it!!! Travel safe!! Thank you, thank you for featuring my painted entryway closet door Kim. I appreciate you hosting Wow Us Wednesdays every week. Hope you enjoy your wee break. Thanks for hosting! Have a nice little break! I hope wherever you are that it's fun and relaxing! thanks so much for hosting! Thanks so much for the party Kim!! Thank you so much for hosting. So many lovely posts. Thanks for hosting the party. I love the beautiful floral wreath! Great features...thanks for hosting the party! Great to be back from vacation and ready to join the fun - thanks for hosting, Kim. 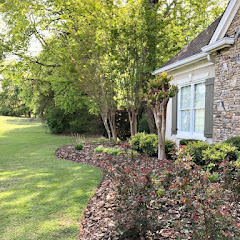 I'm sharing the dirt on my original zone 6-7 landscape plan in the hopes of saving readers some time and money if they're thinking of starting one, or adding to an existing plan. Have a great week. 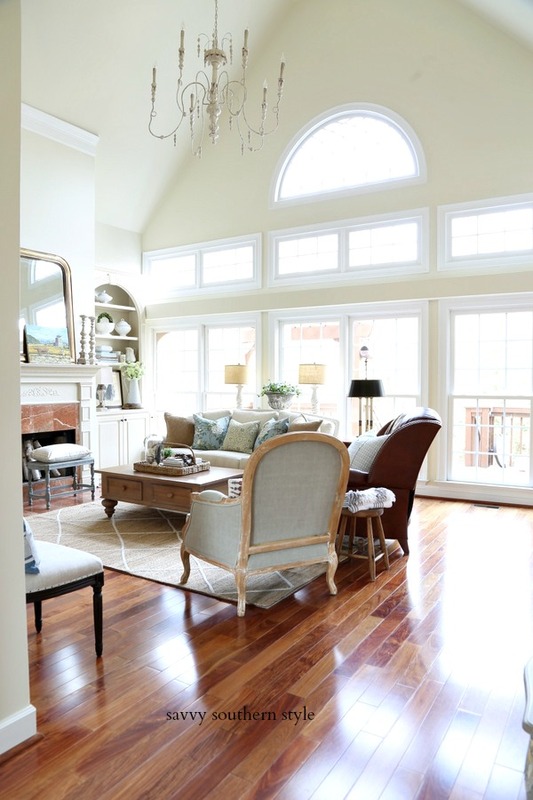 Great features - I really love those meringue nests! Thanks for hosting, Kim! Beautiful features, Kim! Thanks for hosting and enjoy your mini vacay! Thanks for sharing the tutorial, Kim! Dark pictures are not fun. Enjoy your break, you totally deserve it! Heading to Instagram, I'm not sure I'm following you yet. Late to the party once again! We were down at St Luke's again! Got home and forgot to link up until now. Not too late, but late enough. The tulip wreath is so pretty! Says Springtime! Hi Kimmie! I hope you and Mr. Savvy have a wonderful time away. Be safe and we'll see you when you get back. Thanks for hosting! Thanks Kim, have a wonderful vacay! Nice features Kim. Thank you so much for hosting such a great party! Thank you so much for sharing my bench scape...I love joining your wonderful party each week. Have a nice time on your getaway♥ Thanks again. Hi Kim, Enjoy your time away! Great party tonight! Thanks for hosting, Kim. Enjoy your vacation! Such creativity! Thank you for hosting. Thanks so much for hosting! Enjoy your vacay! I always get so many kind visitors from your party! Thank you so much for the opportunity to grow our circle of friends! Thanks for hosting and enjoy your break! Hi, Kim! Thank you for hosting this fun event--so much inspiration. Love the tulip wreath and the bench with all of the magnificent daffodils. 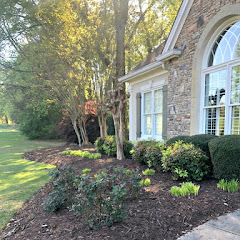 Hope you are enjoying the spring weather. Enjoy your break and the beautiful weather, Kim! Thanks for hosting. Enjoy your break! 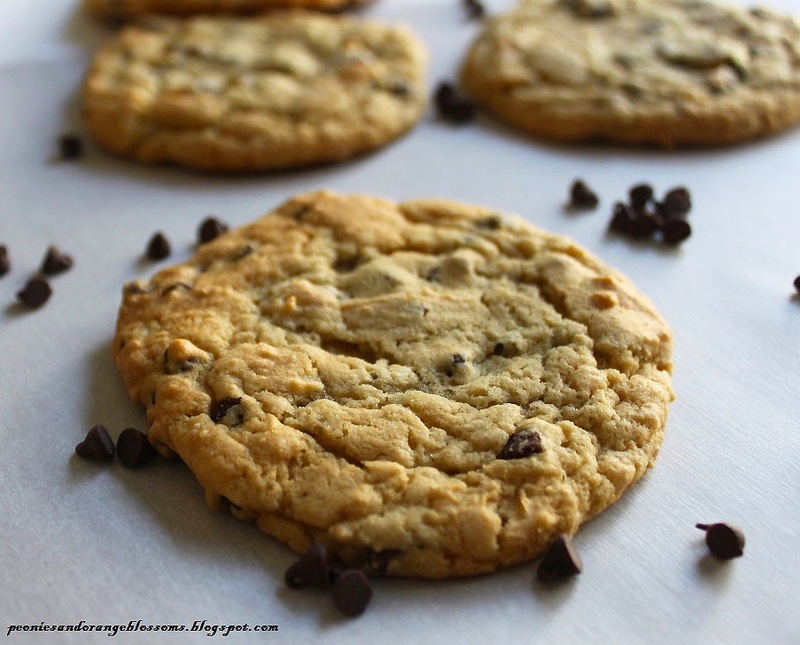 Thank you for featuring my chocolate chip cookie recipe post! Thank you also for hosting Wow Us Wednesdays; I enjoy clicking through many of the links. I also very much enjoy your blog! Have a great vacay, Kim! Enjoy your unplugged time! Thank you so much for hosting, Kim. Have a wonderful week! I love the tulip wreath! That would be perfect for Easter. Thank you for hosting. Wonderful features! Thanks for sharing all this inspiration that Wow Us Wednesdays brings. Hooray for a little vacation Kim! Thanks for sharing such lovely features and for hosting. Have a great week! I'm sittting on your bench at the moment ... your cosy corner is so inviting!! Happy Spring!! Thank you for hosting another lovely party! Such a fun party! Thanks so much for hosting. Have a wonderful break with the Mr.
Have a wonderful vacation! Thanks for hosting. Thanks for hosting a beautiful party this Wednesday! I especially loved #64! Beautiful…I'm going to check out that Blogger auto enhance. 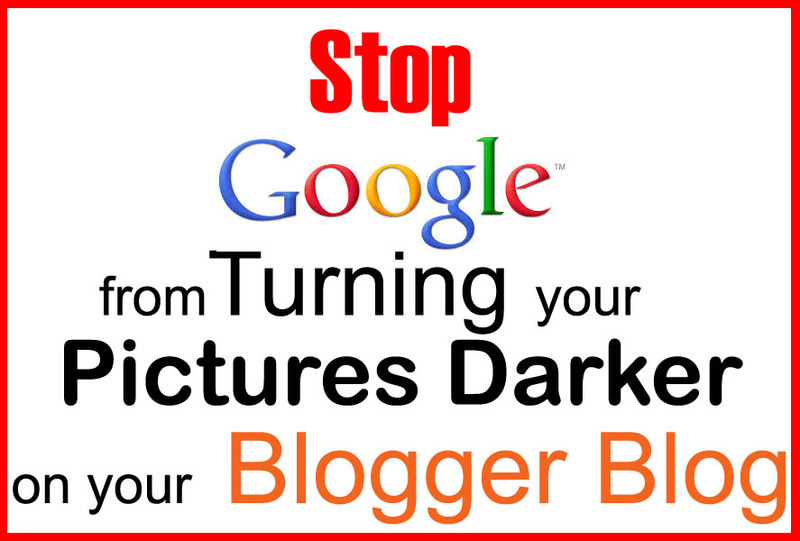 I noticed one time that when you had one of my photos on your blog it looked a lot better. Thanks so much for the wonderful party! 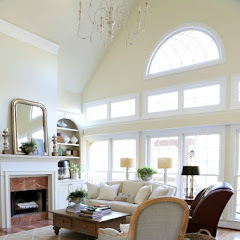 Amazing ideas shared...feeling the sudden urge to makeover a room!! :) Really appreciate the opportunity to share ideas so thanks again! Oh I love the inspiration you provide Kim. Thank you for hosting! I'm late again, but still glad to join Kim. Thanks for hosting! Thanks so much for hosting, Kim! Enjoy your time off!! Thanks Kim! Take some time and just breathe!! Thanks for hosting and love the Number Fifty Three wall of mirrors! 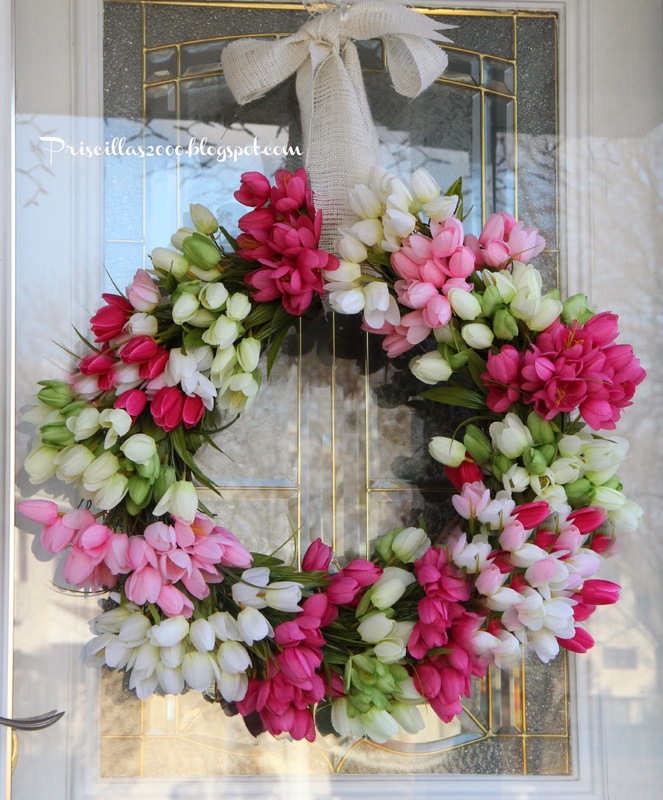 Thanks so much Kim for featuring my tulip wreath ! Hope you have a relaxing time away ! Thanks so much for hosting, Kim! I hope you and Mr. Savvy have a wonderful, refreshing vacation! Thanks for hosting Kim~ have a great vacation! Have a wonderful vacation!!! Thank you for hosting! Fabulous Inspiration! WOW! Thank you so much Kim for hosting this par-tay! 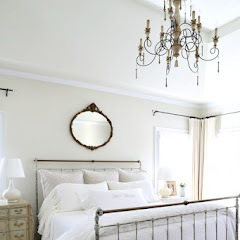 I have linked up lots of headboard inspiration this week. I have almost finished my office and hope to share snippets of it next week. I only have two more pieces to purchase but want to share what I have done so far.